Bike in France and Germany in the footsteps of the Romans! This Mosel bike route leads along the border triangle of France, Luxembourg, and Germany. You will begin with a beautiful bike tour in France through the historic city of Metz. The Mosel River Valley is adorned with medieval castles, historic cities, vineyards, and romantic wineries. 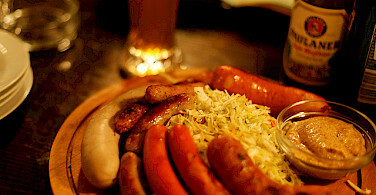 Wine has long been a part of the Mosel’s history due to the favorable wine-growing climate here. 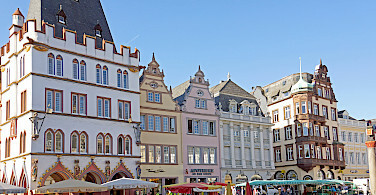 The main center of the Mosel wine region is the port town of Trier. The oldest city in Germany, Trier was once the center of the Roman Empire north of the Alps. The Romans certainly left their influence on the city, including its amphitheatre, the Emperor’s thermal spring, the Porta Nigra, the triumphal arc, the Basilika and the medieval city walls. From Trier, the curves of the Mosel lead further north past many wine-villages and Roman landmarks to the megalith “Eselstratt”, discovering along the way such famous places like Traben-Trarbach, Bernkastel-Kues and Cochem, before admiring the confluence of the Mosel and Rhine at the "Deutsches Eckin Koblenz. Other attractions along the way include Piesport, where an impressive Roman winepress-facility from the 3rd century is worth a look. Trier, the "second Rome", the oldest city in Germany. For this tour, the closest large international airport to Metz is Luxembourg (LUX). From the LUX airport you can take a bus to city center and continue by train to Metz. Travel time is approximately 1.5 hrs. From Koblenz back to LUX is approximately 4 hours. Alternatively, you can also look at flying into one airport and out for another. You can opt to fly into Paris Charles de Gaulle Airport (CDG). From Paris CDG to Metz is approximately 3 to 3.5 hrs via train. 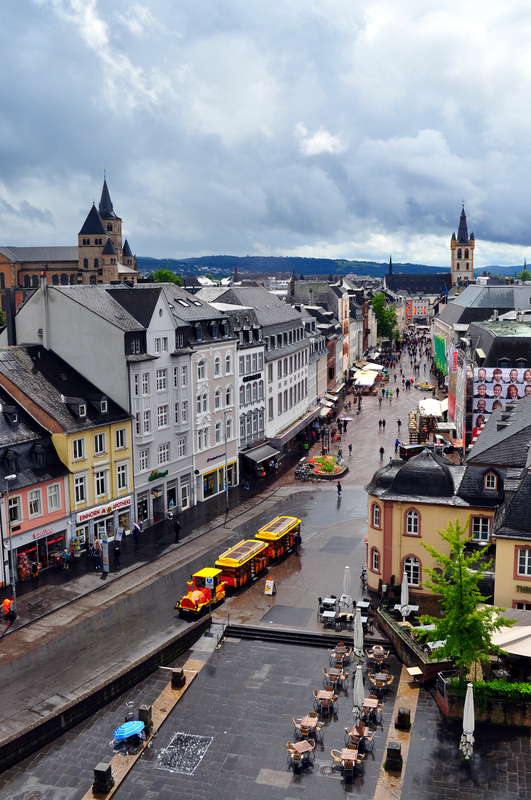 The closest airport to the end of your tour in Koblenz is Frankfurt International Airport (FRA). From Koblenz to FRA is approximately 1 to 1.5 hrs via train. From the airport Paris CDG you can take a train to Metz Ville. The (fast) TGV train is recommended. The train ride takes approximately 2½ hours. Advanced reservations for the TGV are required and can be made here: www.raileurope.com. Upon your arrival at train station in Metz, it is recommended to take a taxi to the first hotel. 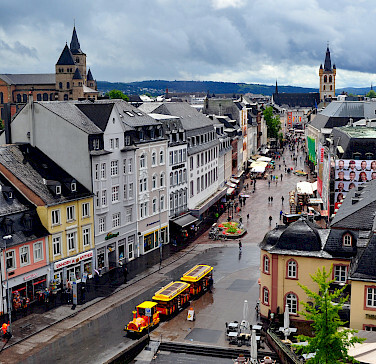 At the end of your tour in Koblenz, your train travel time to the Frankfurt Airport will be about 2 hours. Please check local conditions before you travel! The Mosel region has a moderate maritime climate. Average high temperatures for the area in °F are 57 for April; 66, May; 71, June; 74, July; 73, Aug; & 68, for September. You can add to your biking experience by booking an extra night on any night and taking a day trip on one of the many passenger ships along the Moselle. From April to October there are many options as docks are located in almost all places in both directions. Often additional tours are offered off the boat. You can find more information here. It is you responsibility to insure that you have obtained all necessary documentation. 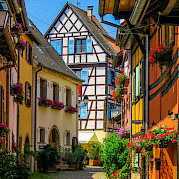 This bike tour in France and Germany is considered an easy self-guided hotel tour on mainly flat terrain. Daily mileage average is about 25 miles. Overall the bike paths along the Mosel are perfectly developed and the quality of the bike trail is great. You can expect a perfectly signposted cycle path that often runs at both sides of the Mosel. In your detailed travel documents you will receive per day cycling recommendations on the most beautiful sections. Category B: Centrally located small family inns and hotels. Please note, in Trier, the hotel is located 5 km outside of city. Extra nights available in any of the overnight towns on your tour. Today you arrive in Metz, the capital of the Lorraine region. Strategically located between the Mosel river and the plateau of Lorraine, Metz is a lively university city. 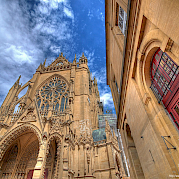 It also has a medieval center and a beautiful Gothic cathedral, Saint-Etienne Cathedral. The poet Verlaine wrote that the cathedral was “the lantern of God”. In fact, the building contains the largest surface area of stained glass of all French cathedrals (almost 6,500 square meters). The 14th century stained-glass windows by Hermann de Münster rival the contemporary products of Marc Chagall and Jacques Villon. It is a living monument to the history of stained glass. Almost the entire day will be spent in France. It is recommended to take a train (direct connection) to Thionville. From here, the path is very good as you cycle along the water to the Franco-German Border. Just over the border, lies Perl. You might like to take the ferry to Schengen or cycle to the Roman Villa Borg (5 km east of Perl.) You will marvel at the excavations designed to present an authentic representation of the buildings as they originally stood. The current buildings are made up of the baths which are fully functional consisting of a frigidarium (cold bath), caldarium (hot bath) and tepidarium (tempered bath) latrines, a dressing room, and a relaxation area. The manor or main building has a large reception hall and a number of adjacent rooms in which the most important finds from the site are displayed. There is also a Roman kitchen (recently completed), a residential building, and a tavern, which was not part of the original villa but which serves meals based on ancient Roman recipes. *Overall, the bike paths along the Mosel are perfectly developed with high quality routes. However, the Mosel bicycle route on the French side of Metz and Thionville (35 km) is mostly on streets with heavy traffic. Therefore, it is recommended to bridge the journey (Metz to Thionville) by the train. From Thionville, the path is well signposted. From Germany, you can expect a perfectly signposted cycle path often both right-hand side of the river. In the detailed travel documents, recommendations on the most beautiful stretches are given. The day begins cycling through the vast vineyards of the Mosel valley and you will want to take some time in Remich, a place the Romans called, Remacum. 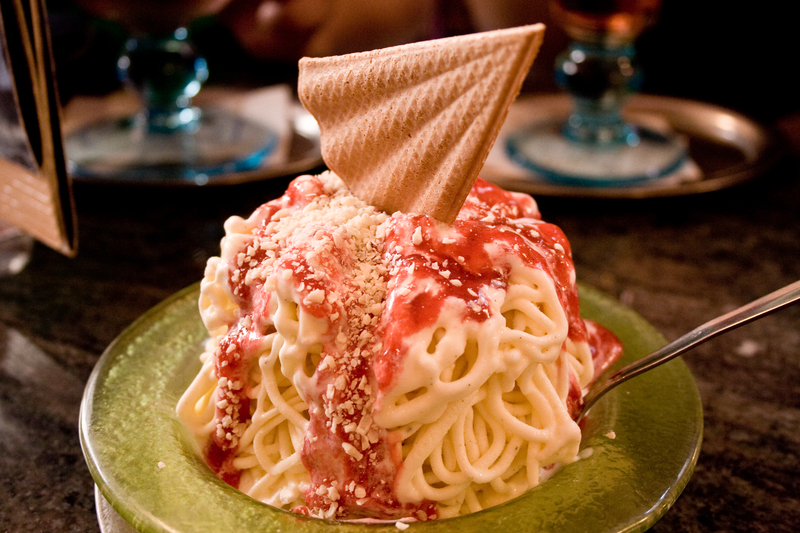 You will feel the Mediterranean flair in many cafes and bistros along the 3 km long Mosel promenade. On the right bank of the Mosel, you continue your journey to Konz where you cross the mouth of the Saar and Mosel. From here it is not far to Trier. 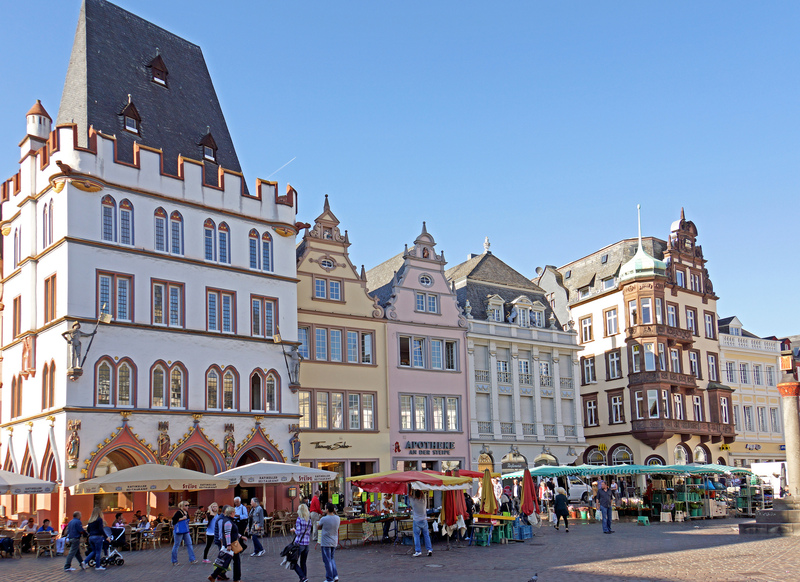 Trier, which stands on the Mosel River, was a Roman colony from the 1st century AD and then a great trading center beginning in the next century. At one time this city was know as the 'second Rome' and is said to be the oldest city in Germany. The number and quality of the surviving monuments, such as the magnificent Porta Nigra, Constatine's Basilica, the amphitheater, as well as the Roman Spa, Kaisertherme, all give testimony to Roman civilization. Today, Roman past and contemporary viniculture will meet. 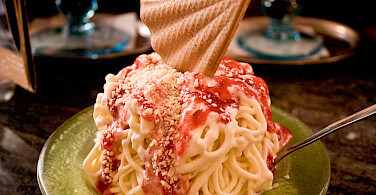 The Mosel bike trail leads to Mehring, where the Villa Rustica awaits. 'Villa Rustica’ is the designation for a manor in the Roman Empire. Today, the reconstructed walls and foundations can be visited again. Afterwards you will cycle to Trittenheim, where a nature trail educates on the local variety of grape and the process of vine-growing. Just before reaching today’s destination, you will pass Neumagen-Dhron, Germany’s oldest wine-growing place! You should stop here to taste some of that wine! The two famous towns Bernkastel-Kues and Traben-Trarbach and the well-known wine growing resort "Kröver Nacktarsch" are today’s highlights. 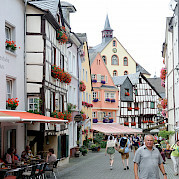 Marvel at the colorful and manifold half-timbered constructions seaming the market place of Bernkastel-Kues. In Traben-Trarbach, there is an opportunity to take a boat trip. 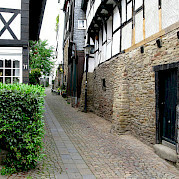 You will discover Enkirch today, a jewel of the Moselle region’s traditional half-timbered architecture. Then it is on to Zell, the wine-growing resort know for its "Zeller Schwarzen Katz" (The Black cat of Zell’). Take a relaxing break in the small town of Beilstein, proud of its nickname "Rothenburg an der Mosel". Your final destination is Cochem with its picturesque center and the ancient realm dating from the 11th century. The Mosel bike trail leads to the quaint wine-growing villages like Koben Gondorf or Winningen and then to the Deutsche Eck, but first there is the opportunity to visit the medieval castle of Burg Eltz. 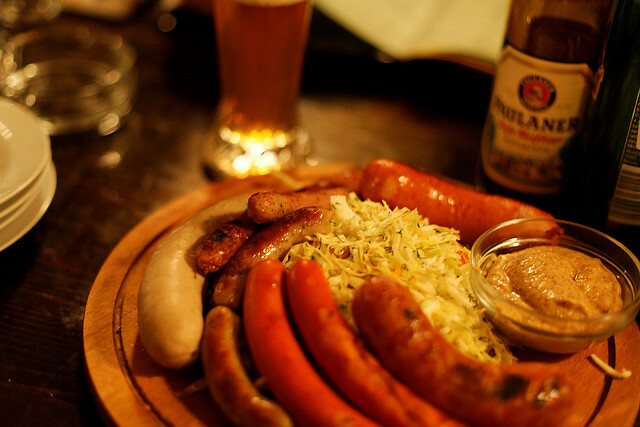 Enjoy the wide view over the magnificent valley of the Rhine and be looking forward to a wonderful evening in Koblenz. The Route Guide that we received was in German. We called Velociped and they said that they ran out of English guide - Basically we were SOL and not getting the Route Guide in English. They knew it way before hand that they did not have any English Route Guide - they should have let you or us know and maybe sent us written instructions for the route. We had difficulty in the first 3 days of the trip. We did not even get any instructions of how the electric bikes worked or how to operate it. The first day - my wife struggled on the ebike because it was not working right- we had to call. Instructions on what to do and how to start it would have been good. Very poor customer service. In addition, we signed up for CLASS A hotels, which was supposed to be 3 or 4 stars - not one of the hotels provided was a 4 star. The scenery along the Mosel River was spectacular, the luggage transfers between hotels was great. The bicycle route (mostly bike paths) can be found on either side of the Mosel River. And, in most cases, you can't go wrong. Once again, the guidebook provides suggestions for which side to Read more… choose. But either side is fascinating. And since the vast majority of the route is car-free, you feel safe and free to watch the scenery rather than the traffic. I hope to go back sometime and explore the places I missed on my first tour. Mosel trip was excellent. Danube trip, the map and instructions were worse than useless because they were actually wrong in places. Great trip...We did the 7 day but wish we would have done the five days however. We are planning on booking for the third time this year just looking for a 5 day and it seems most are much longer.